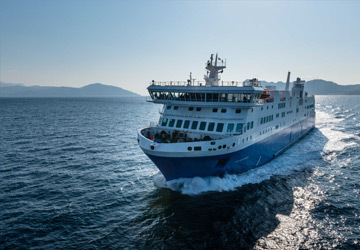 The Thira Piraeus ferry route connects Cyclades Islands with Athens and is currently operated by 5 ferry companies. 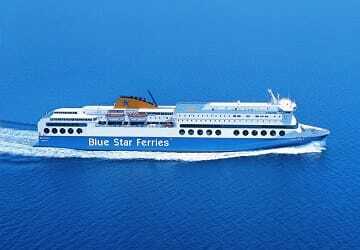 Blue Star Ferries operate their crossing up to 13 times per week, Anek Lines 2 times per week, Zante Ferries 2 times per week, Sea Jets 4 times per day & the Golden Star Ferries service is available up to 7 times per week. 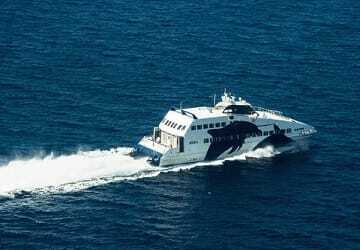 There are a combined 52 sailings available per week on the Thira Piraeus crossing between Cyclades Islands and Athens and with 5 ferry companies on offer it is advisable to compare all to make sure you get the best fare at the time that you want to travel. Prices shown represent the average one way price paid by our customers. 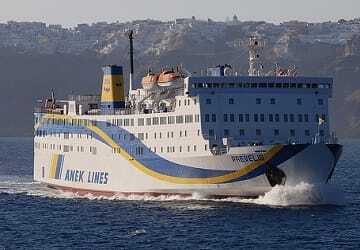 The most common booking on the Thira Piraeus route is a car and 2 passengers. 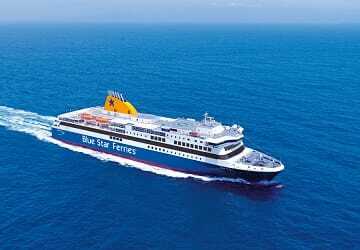 Our voyage from Santorini to Piraeus was smooth. We had a cabin, which was spacious, clean, with hot shower and clean towels and toiletries. We arrived in Piraeus rested and on time. As we were approaching the port of Piraeus, the air conditioning allowed some diesel smell in like airplanes do before they start moving on the ground. 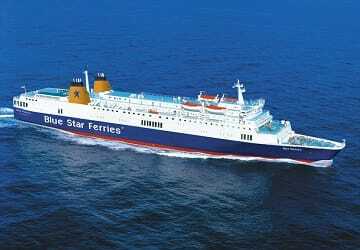 The ship was clean and tidy throughout and had plenty of seating space in the lounges. As our voyage started at midnight, most cafes, restaurants and shops were shut and one could only choose from a limited selection of drinks and snacks. 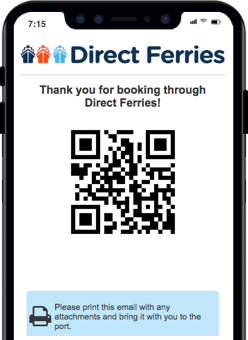 It would be nice if the ship had wifi available. Free shuttle bus took us from the point of arrival near to the port exit/metro station. We had booked into business class wherein we had a nice lounge set up with good bar service. Restaurant and cafe options were limited in the floor.there was a good cafe downstairs but one could lose his spot given that the ferry got so full at the first dock stoppage. no wifi on the floor. it was available at 5 euros at a place away from business class. good seats and sofas.good service by the waiters at the bar and minicafe. Overall it was a very good experience. Go blue star. 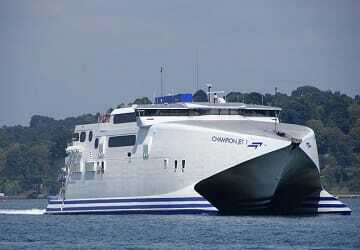 Kind staff, good services, only flaw the punctuality; on three ship only one was punctual. 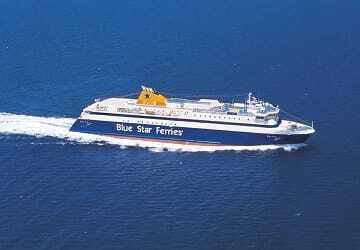 All good, but alway 1 hour delay with greek ferries. The 1 hour delay it was caused by the rough sea.